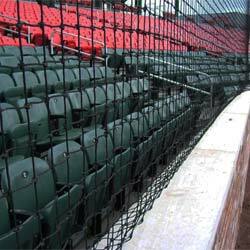 Sports netting is essential to the safety of your players, coaches and fans at every baseball and softball field or facility. custom protective sports netting panels, netting for indoor and outdoor batting cages, pre-sized batting cage nets, backstop netting, barrier netting and sports goals. Whether for soccer, hockey or lacrosse, our team is committed to fulfilling all of your sports netting needs. Our experts can even cut the netting to fit your batting cage, baseball & softball fields or facility - providing you with a truly custom netting experience. 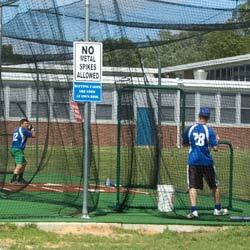 On Deck Sports offers two styles of sports netting – poly and nylon nets. 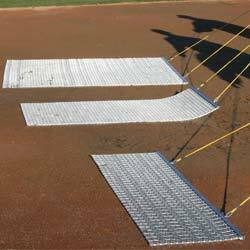 Poly netting is a perfect fit for youth baseball or any application with lighter use. Our nylon netting is the most durable, longest lasting netting on the market- perfect for professionals and recreational player alike. It is UV protected, adding to the strength of the nets. 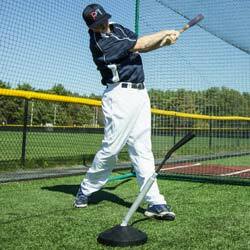 The breaking strength of our baseball & softball nets is the strongest in the industry. We can custom make your netting solutions to fit nearly any application. Have questions? Contact one of our sports netting experts today.